Homepage > Blog > Choosing a Singing Teacher to suit your needs. 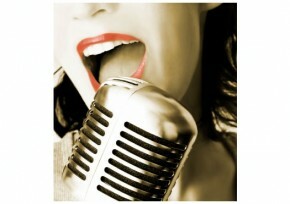 Choosing a Singing Teacher to suit your needs. So you have decided you’d like to learn to sing, and you are a little confused as to where to start..
Learning to sing is a wonderful, rewarding activity, but like anything you do, you’ll need a good teacher to make the most of your singing lessons. Here are three tips regarding how to choose the right singing teacher. Firstly, if you don’t feel completely comfortable with your singing teacher, look around until you find a singing teacher that you do feel comfortable with. A singing teacher and student need to have the right rapport. I always start with an initial vocal assessment and the purpose of this consultation is to check to see whether that rapport exists. If I’m not comfortable with you – or you’re not comfortable with me – our singing teacher/student relationship is destined to fail. Secondly, there are a great many people who advertise themselves as singing teachers – and some not actually qualified for the job. You should be aware that just because someone can sing themselves, it doesn’t mean that they can teach someone else to sing. If you want to learn to sing, choose a singing teacher who is qualified, and comfortable teaching the styles of music which you are interested in learning. Look at the length of time they have been teaching, read their testimonials, see what their students have achieved. Some students need guidance with repertoire and style. A vocal coach can be helpful in this area, but a vocal coach can often be describing themselves as singing teachers, so be aware of the difference between the two. Make sure you know exactly WHAT you are looking for. You can start your search for a singing teacher in Australia using the ANATS database. Thirdly, most singing teachers have specialties, so look for one that is a good fit for you. My studio specialises in people looking to perform contemporary music both professionally and also students who simply have a passion to sing , maybe just for themselves or their families. Some of my students have been successful in gaining entry into prestigious performing arts academies (such as NIDA, WAAPA or LAMDA). And while I teach classical crossover, I don’t teach Opera, for example. If you wanted to learn to sing Opera, you need to look for someone who specialises in the field of Classical singing. I am now able to use Skype or FaceTime to do online lessons with students who are performing overseas or even simply interstate students.